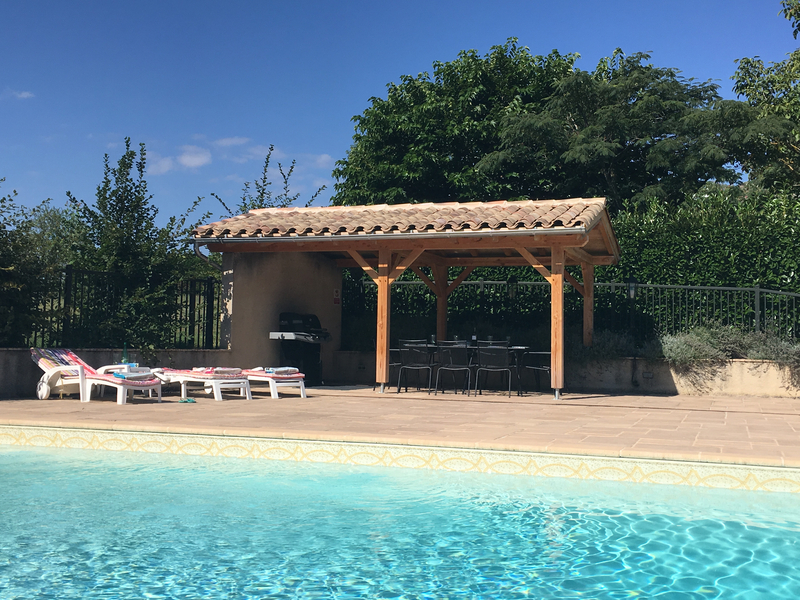 The pool, secluded terrace and poolside barbecue area for alfresco eating is totally fenced to meet the latest requirements of the French Government, with two ‘childproof’ access gates. The 12m x 6m pool is kept spotlessly clean by means of a ‘robot’ pool cleaner and an efficient filtration system. 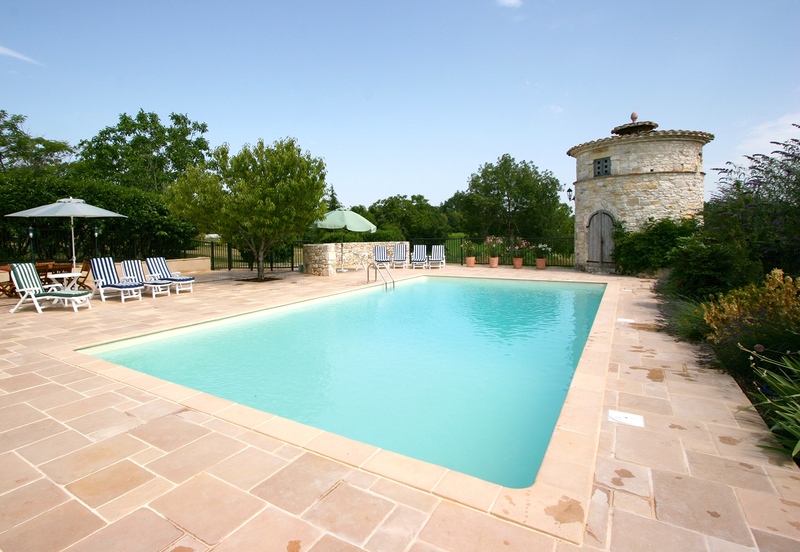 Unlike most pools it has both a seven foot deep-end, and a shallow end, both of which are enthusiastically enjoyed by all. Built in wide corner steps make getting in and out of the pool easy. 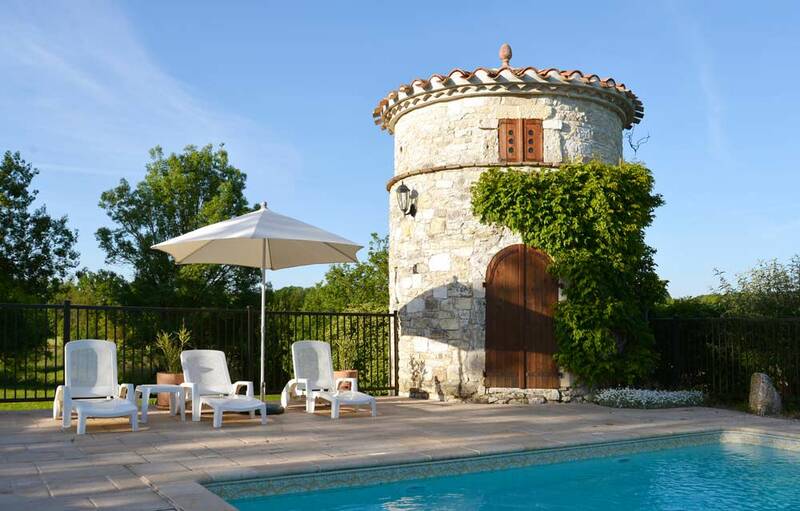 A feature of the Tarn area, this original pigeonnier [or dovecote], houses a selection of inflatables, sun beds, cushions and parasols. The pool ‘Abri’ houses the barbecue and provides seating for 10 people and gives pleasant shade during the hot summer months.